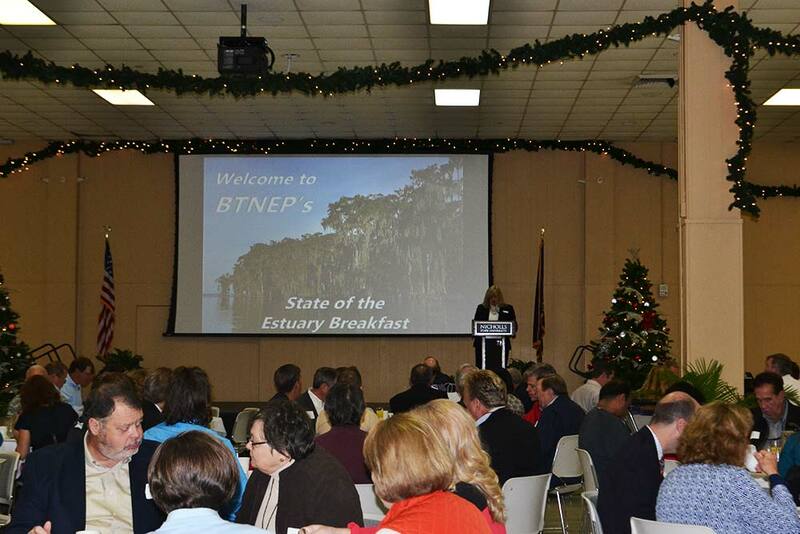 The State of the Estuary Breakfast provides residents within the 16-parish area a chance to learn about the work that BTNEP has been involved over the year and about the long term ecological advancements that the program has provided the estuary. BTNEP hosts a buffet style breakfast event that informs attendees on different aspects of the program. A presentation by BTNEP’s Director is given regarding the year’s projects and accomplishments and what the upcoming year has in store. A guest speaker is also invited to address the audience on the importance of the estuary and why restoration and preservation is necessary. BTNEP staff members are available at different tables with attendees throughout the rooms to answer any questions the public may have regarding the program.